When we heard that word our mind thinks about speed. 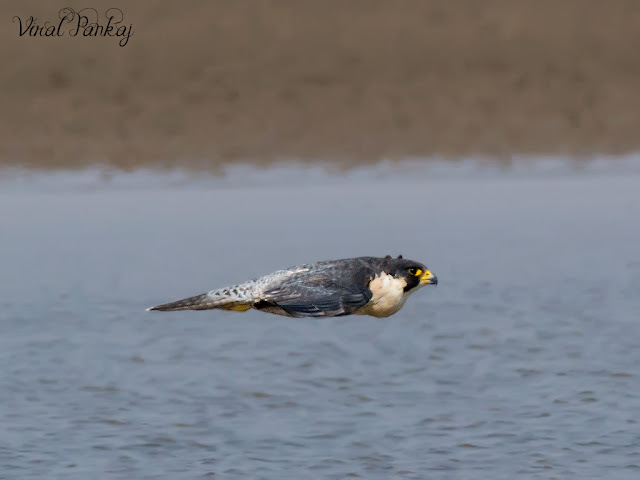 The peregrine is famous for its speed, reaching over 322 km/h (200 mph) during its high speed dive making it the fastest member of the animal kingdom. 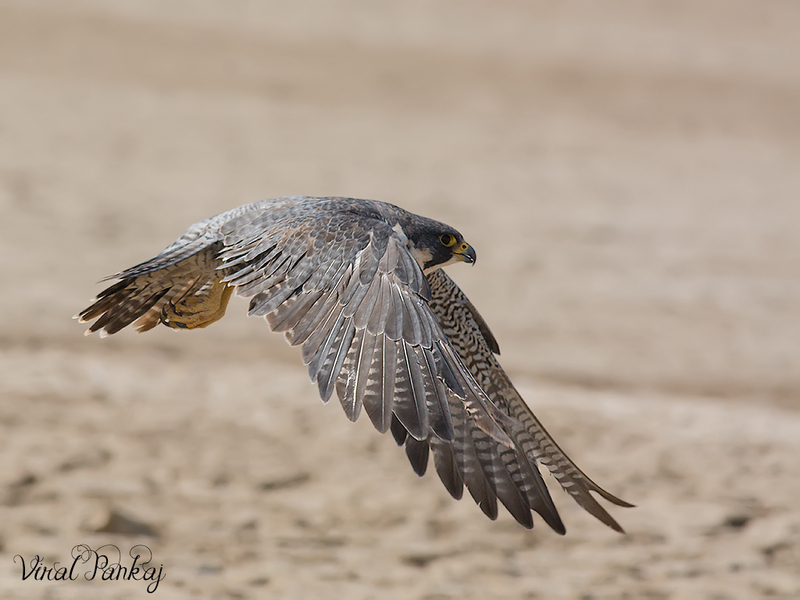 According to a National Geographic TV programme, the highest measured speed of a peregrine falcon is 389 km/h (242 mph). Peregrine means ‘on a journey ‘or ‘wandering ‘, attributed to the falcons long distance migration. Peregrine Falcon is winter visitor in Indian subcontinent and also resident bird. We were already trying to search this bird many times. Each time when we visit LRK we asked our guide about this bird and after searching a lot in rann we find many of other raptors except Peregrine Falcon. 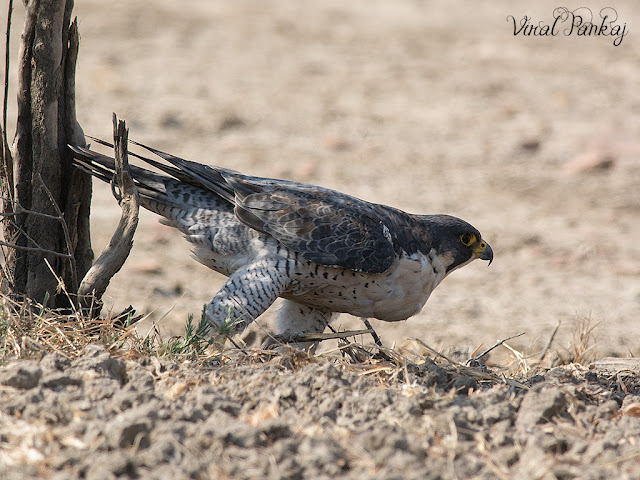 During this winter season we went to Nalsarovar for the Small Pratincole. 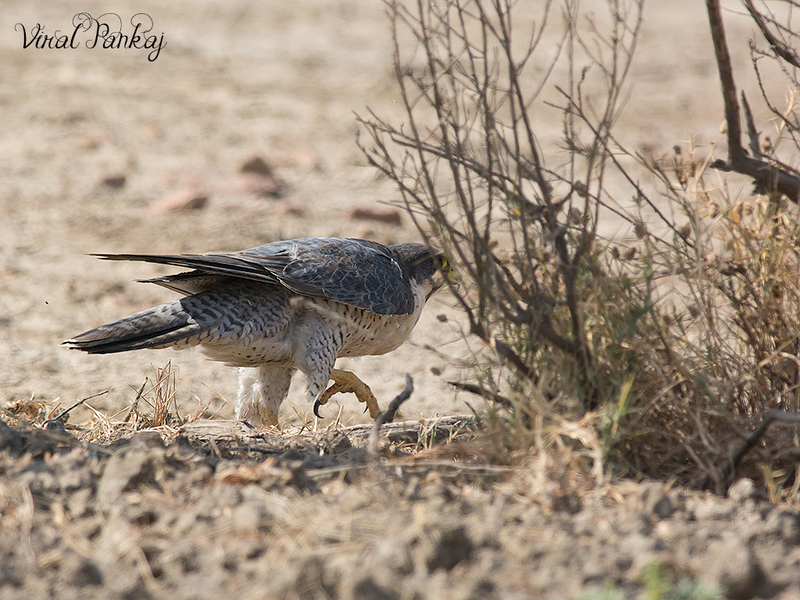 While going towards that place we saw Peregrine Falcon. But unaware of its ID due to its immature stage. Again in same season we encounter this beauty in LRK. This time we instantly recognise it because its adult Peregrine Falcon. 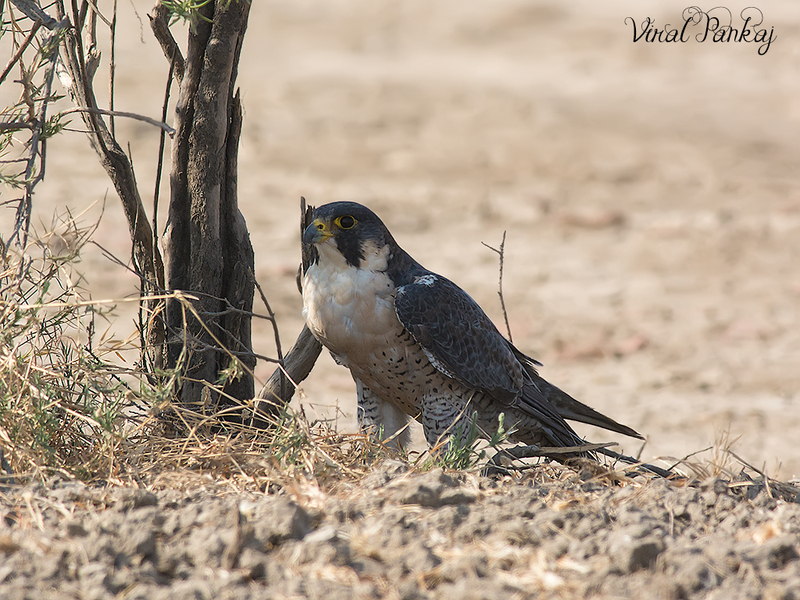 Later we came to know that the particular bird which we clicked is just like Queen of LRK. Many photographers already captured its beauty. She is female Peregrine Falcon. Its like tigress Machchhali of Ranthambhore. We saw many photographs on her favourite perch many times. She is ruling this area from many years. 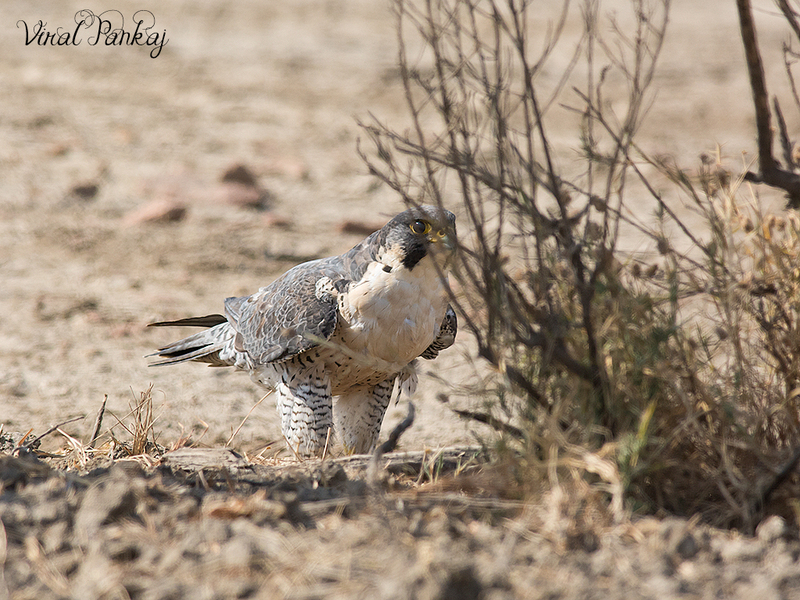 While clicking the Peregrine Falcon we observed following events. 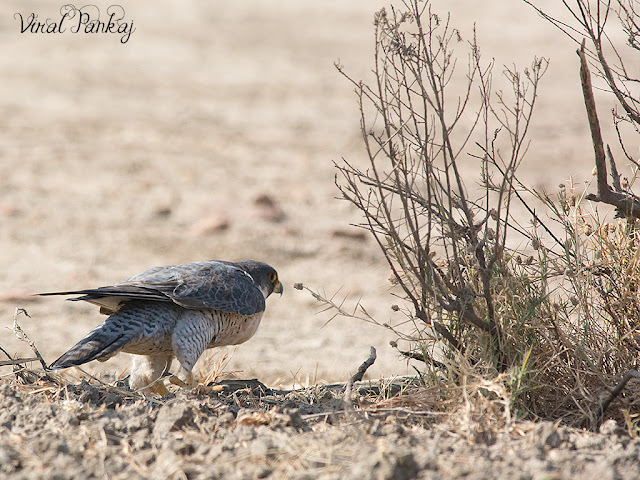 We saw Peregrine Falcon resting in shadow of a tree. 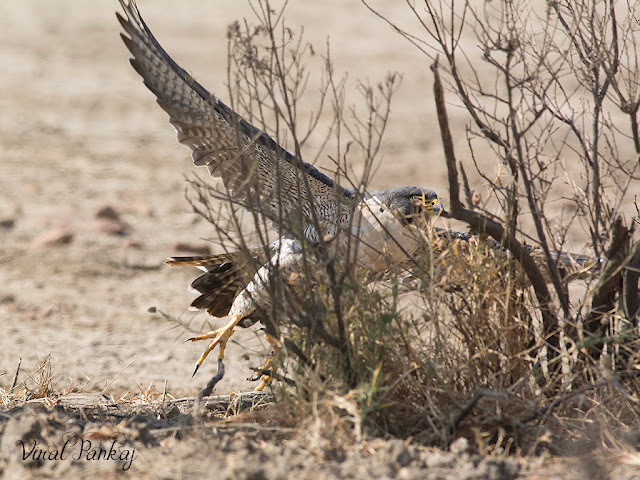 When we approach the bird first its try to hide itself by literally walking behind the tree. When its feel safe then it waits and observe us. 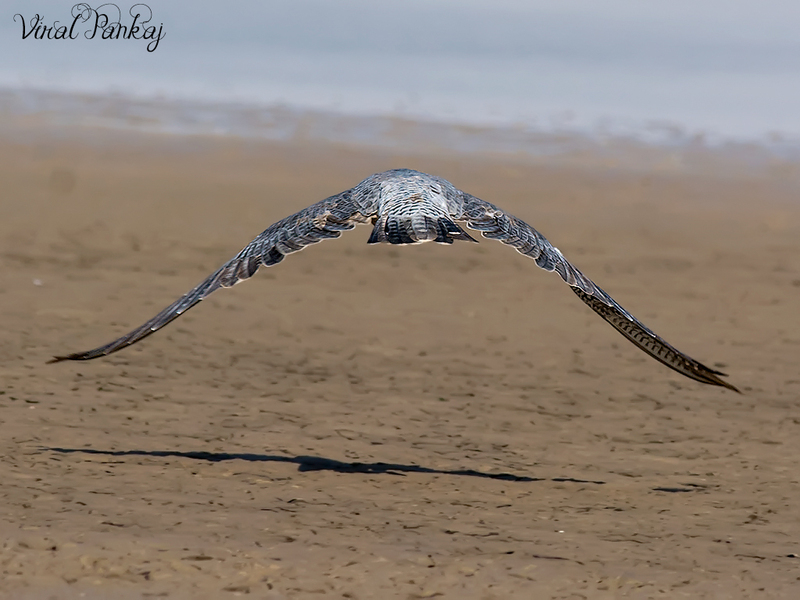 After some time its fly away. We able take few amazing flying shot of her.